In order to promote its exhibition industry, Hainan has allocated RMB5 million to award nine exhibitions and fairs which were successfully held in 2011, reports Hainan Daily. 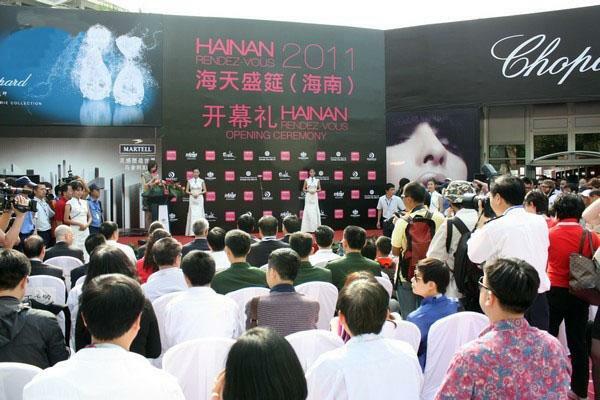 Hainan Rendez-Vous 2011, Asia’s first exhibition dedicated to the luxury lifestyle, won the first prize and was awarded RMB1 million. The event, which was held in Sanya on 1st – 4th April, 2011, was a major lifestyle exposition comprised of a yacht show, business jet exhibit, luxury property showcase and displays of various high-end brands. The first prize also went to the 2011 Hainan Real Estate Trade Fair which was comprised of 3 sessions in spring, summer and winter.